Established in the year 2011, at Ludhiana (Punjab, India), we, “Remi And Virgin Human Hair Exports”, are a well-known manufacturer, exporter, wholesaler and supplier of a superior quality range of Remy Single Drawn Hair Extension, Indian Human Straight Hair, Human Curly Hair, Human Wavy Hair, Indian Human Virgin Hair, Human Hair, Non Remy - Remy Indian Hair, Keratin Hair Extension, Human Hair Wig and many more. We process our offered range using premium grade natural human hair, sourced from the reliable vendors of the market. Known for its smooth finish, high strand strength, long lasting shine, natural appearance and fine texture, our offered product range is broadly acknowledged by clients. Our offered range of human hair is trendy, stylish and eye catching, thus provides a natural look to the wearer. These are processed using advanced techniques and latest machinery. In order to eradicate all the flaws from our offered range, we follow a strict quality policy. Furthermore, the offered range can be availed in various sizes, lengths, colors and patterns as per the variegated needs of clients at affordable prices. In order to ensure streamlined work flow, we have segregated our well-developed infrastructural base into units such as procuring, processing, quality testing, sales & marketing, warehousing & packaging, etc. All these units are equipped with the latest machinery and cutting-edge technology in order to timely meet the large-scale orders of customers. The installed machinery and tools regularly oiled and updated to attain maximum productivity in the production process. Our team of capable professionals supervises the activities of these units to make sure the production and delivery of a flawless array of product at client’s end. We have selected a diligent team of industry experts, which empowers us to stay ahead in the industry. Our proficient team members work in a determined manner with one another in order to process unmatched quality products in accordance with international quality norms. By utilizing the vast industry experience and skills, our professionals implement the advanced techniques to process human hair. Apart from this, we organize frequent training programs and seminars for our team in order to update their knowledge & skills. Since the inception of our organization, we have given prior preference to the quality of our products. Our quality control experts deeply examine our entire range on various parameters to ensure that we are offering our customers an unquestionable range of product. Further, we always strive hard to achieve optimal client satisfaction. Our customers can avail our offered range in various length, colors, styles and volumes as per their needs. Our customization facility has always supported us to satisfy our customers optimally. Moreover, our easy modes of payment, transparent dealings and honest business policies assist us to gain huge clientele across the globe. Over the year, we have become a reliable name in this domain due to our commitment towards hard work and quality. Managed under the proficient guidance of our Proprietor, “Mr. Mohit Garg”, our organization has reached the zenith of success in the industry. Due to his rich industry experience and vast domain knowledge, we are constantly meeting the diversified requirements of the clients that are spread all across the world. Manufacturing, Trading & Exports of Remy Single Drawn Hair Extension, Indian Human Straight Hair etc. Unique skills, deep knowledge and rich talent of our team members form the pivot of our successful repute. Our team comprises of established beauty experts, sourcing agents, R&D specialists, manufacturing experts, quality control officers and skilled distributing personnel. Due to the attentive attitude of our professionals, we are well aware of latest trends in hair styling and become able to develop hair extensions that meet the diverse customer needs. Our infrastructural system boosts our levels of productivity and makes us able to sustain the growth on a global platform. 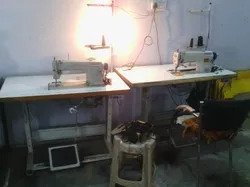 Our company premises are sprawling across a large area and feature adequate expansion capability to synchronize with the technological advancements. Besides, our well laid out manufacturing facilities include hi-tech testing machinery to measure the quality standards of human hair and high speed production units where we develop the flawless range of hair extensions. Our organization is a client centric entity that operates to fulfill the evolving consumer needs. We therefore have established corporate philosophies to attain the goals of total client satisfaction. Our team is backed with requisite talent and technology to study and fulfill the hair styling needs across the globe. Further, our uncompromising focus on cost efficiency earned us a reputed stature of being at the fore of manufacturing widely demanded hair styling solutions. Our business activities are based on our quality concerns as we deal in hair extensions that are made from 100% human hair. Quality compliance is of utmost importance in manufacturing hair extensions, because our clients expect super silky, smooth and thick hair extensions that last for a longer time. 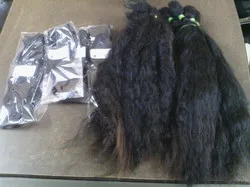 We therefore make sure to procure virgin and untreated human hair from our reliable vendor base and confirm the quality standards of the raw material by conducting rigorous inspections.